How robust, fun and easy to live with has this innovative plug-in hybrid coupé been over 15,000 hard-worked miles? When the i8 came to me with barely more than delivery miles on the clock last spring, I wrote a long list of questions it would need to address before it headed back to BMW. Nearly a year and 15,000 miles later, the answers are in and could scarcely be clearer. Some were simple: did having a hybrid drive actually result in better fuel consumption than you might expect in rival products? After 11 months at a true average of more than 40mpg where I expect the class average is below 30mpg, there is no question. 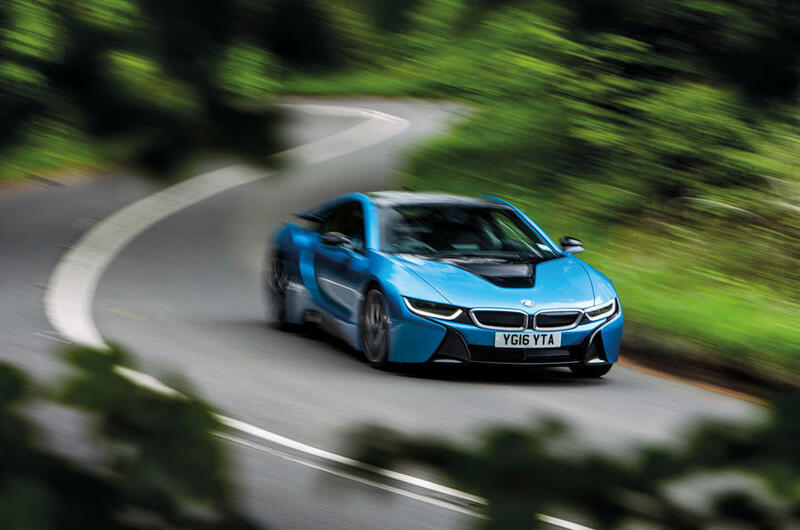 The best and worst the i8 achieved both came while others on the Autocar team were using it – one driver coming within a whisker of 50mpg, another achieving 18.3mpg. Another question was conceptual: could the i8 manage what the original M1 and Z8 had failed to achieve and be a BMW that sat comfortably and credibly in what is today the marketplace above £100,000? a six-figure hybrid BMW, especially one powered by a three-cylinder Mini engine, however clever its tech and however attractive its carbonfibre and aluminium construction may be. few special touches and too much scavenged from the generic parts bin, it did, with space to spare. Not once did I feel short-changed by that engine: I loved its noise and don’t understand those who wail about its sound being synthesised. The sound of every mainstream car today has been artificially modified in some form or another and is, therefore, synthesised. The i8 sounds great. Its performance is also good enough, just, to live in the £100k world. 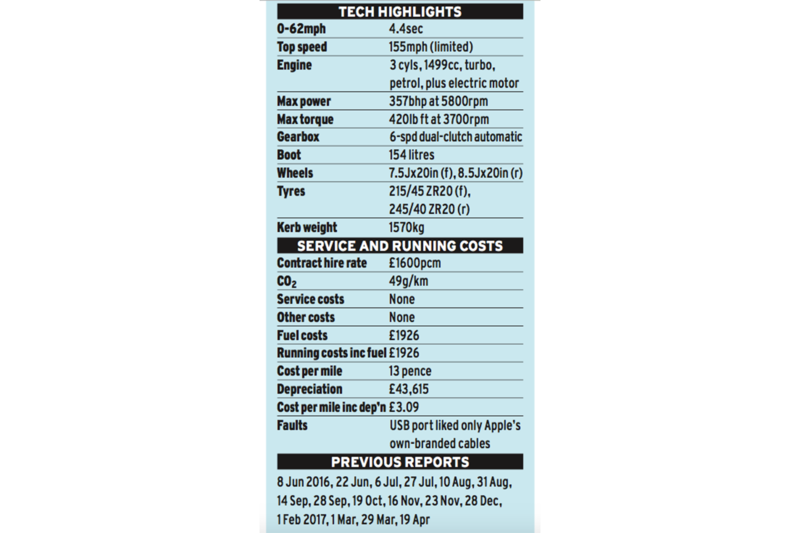 On paper, it looks only moderately quick, but bare figures conceal the immediacy of the response brought by the hybrid drive and the complete lack of turbo lag. The way it delivers its torque means that even a gearbox with just six gears seems no more or less than what is required. But perhaps the question that took longest to answer was simply what kind of car this was. Superficially, it seems easy: it’s aiming for the same space as the Porsche 911, Jaguar F-Type R and Audi R8 but arriving from a different direction thanks to its highly innovative powertrain and construction. And I think most would buy that explanation. But I don’t see it like that at all. a narrowly defined scenario. But look at how these cars are actually used almost all the time, by almost all the people who drive them: long motorway journeys, commuting into town, big trips in Europe, even school runs. In these real-world scenarios, the i8 is very hard to beat indeed. I’ve never run a car that’s better at doing a distance, despite all the big diesel saloons and estates I’ve had. They use less fuel, put more miles between fills and clearly have much bigger boots, but the acid test is how you feel at journey’s end and here the i8 is unapproached. I drove it from my home in the Welsh borders to Paris and back in a day, 800 miles with about a three-hour break in the middle, yet I arrived home feeling no more or less tired or uncomfortable than if I’d just gone to London and back. And I appreciated the little journeys, too: doing the whole school run on electricity alone in silent, almost cost-free tranquillity. I liked the fact that I could leave home at 4am for the red-eye run to Heathrow and wake neither family nor neighbour and I liked how easy it was to manage the electrical charge so you could preserve it on the open road, when it might otherwise be wasted, and then use it in town when it can be used most efficiently. There was plenty of stuff I didn’t care for: the road noise on concrete surfaces, headlights that were no more than adequate for a car of this performance, the small boot, the spidery lettering on the instruments and its snobbish aversion to non-original iPod cables. But the doors were the only element of the design I thought mistaken. They look amazing, no car has ever been quicker or easier to fall into and it’s not notably more difficult or less dignified to exit than a 911. But if someone parks too close, it makes access impossible. I was so careful to find spaces at the end of rows that I got blocked in only once, when some moron parked in a prohibited area next to it at Silverstone, but I had to wait until I could get the offending vehicle towed before I was mobile again. But there’s a bigger picture here. This car is a revolution and I think more people should understand that. This is not just a car made a different way from different materials, but it’s doing a different job, too. In its balance between long-distance touring ability and sporting aspiration, it’s the closest thing to a replacement for the Porsche 928 we’ve yet seen. Yet it does all that in a way that is so relentlessly forward-looking that it makes even other hybrid supercars look backward. Does a Honda NSX have a carbon tub, can you charge it from a wall socket and will it run for extended periods on electricity alone? No, no, and no again. I, for one, would never seek to deny the i8’s flaws, but nor will I let them obscure what really matters, which is that it provides the first truly convincing template for the supercar of the future we have seen while proving an eminently usable, delightfully engaging everyday companion. Spending time with one has been a rare and special pleasure. HYBRID DRIVE - This plug-in hybrid has the power, fuel consumption and ease of use to slip effortlessly into your life. BUILD QUALITY - Not the slightest thing went wrong on this technologically pioneering car in 15,000 hard-driven miles. STRIKING LOOKS - Its sleek, lithe shape was capable of brightening up the most miserable of Monday mornings. IMPRACTICAL DOORS - Yes, they look really cool but you have to find a space at the end of a row when you use a public car park. LACKLUSTRE INTERIOR - Actually, I don’t loathe, but I do wish it was a little more commensurate with the car’s six-figure price. No, I’m not going to tell you that, contrary to all expectations, the i8 will actually keep up with the 650S on a decent road, or is more fun to drive, or better to listen to or even look at. Sonorous and stylish though it is, it is none of these things. And yet somehow they seem to share something: it’s a sense of engineering integrity, of innate strength, of, for want of a less excruciating word, specialness. And I can only put it down to the one aspect of their designs that they do share and which sets them apart from the vast majority of other cars, including most expensive sports, GT and supercars: carbonfibre. Perhaps these differences are more perceived than real, and perhaps this is because neither manufacturer is shy about letting you see its core construction material. Something goes ‘ping’ in your head and you just deem the car to be stronger, safer and more exclusive as a result. But even if that were so, those feelings would still be real, whatever their origin. These cars are, of course, carbonfibre for a reason. For McLaren it is provide an authentic USP to help distinguish its cars from predominately aluminium rivals from Ferrari and Lamborghini; for BMW, its CFRP tub is there to save weight and help redress the curse of excess mass that affects all hybrids. Cost aside, the only disadvantage to carbonfibre construction I can see is the way it transmits noise: on the concrete surfaces of the south-west section of the M25, the i8 suffers from embarrassing levels of road roar; the 650S is better but not good. But I’m still pleased the i8 is carbonfibre, and were I to crash it I expect I’d be more pleased still. But the chances of that happening are receding: the i8’s next report will be its last. After nearly a year with me it is heading back to BMW, probably with me clinging to its carbonfibre cockpit. You’re going to think this is the opening round in a secret contest to see who can get the most tedious picture of their car published, but it’s not. I know the picture below just shows ventilation controls, but where I live in the middle of nowhere, this sort of stuff counts. I’ll explain. I have for years run cars with diesel engines and, more often than not, quite large diesel engines at that. Just about the only thing I don’t like about them is how long they take to warm up of a cold and frosty morning. And that not only means fuel consumption to rival a Sherman tank, but it can also be an absolute age before the most miserable wisps of faintly heated air start to seep out of the air vents. I can quite easily do an entire school run, unload the children with their teeth still chattering and not be properly warm until the moment I get home – which defeats the point. The i8, with its tiny petrol engine, battery power and electric motors, is pumping proper heat into the cabin within not minutes but seconds. Most recently I returned on an overnight flight from far, far away and the i8’s interior was toasty before I was out of the long-term car park. It’s just one more example of how easy it is to live with this car. Another is the seats. Recently Matt Prior and I had cause to drive the i8 from my home in the Welsh borders to a test track outside Paris and back again in one day. The 800-mile trip could have been purgatory for me in many other cars, but I got home without an ache. Without exaggeration and in this particular regard, I seriously doubt a 7 Series would have done that job any better. It’s been a Porsche Panamera-intensive month, which may seem like an odd thing to say in a report on a BMW i8, but bear with me. The one pictured above is the 4S Diesel, and with 4.0 litres of twin-turbo V8 power at its disposal, it gives a similar level of performance to that offered by the BMW’s 1.5 litres of three-pot single-turbo hybridised petrol power. How? Because once you’ve offset the Porsche’s extra power and torque against its half tonne of additional weight, they actually stack up pretty closely. I’m a huge fan of both powertrains. Truth is, I’ve never driven a V8 diesel I didn’t like, and the Panamera’s velvet wallop is something to behold. But the i8 counters with a deliciously snarling soundtrack, despite some sneering at its synthesised nature. What I like best about these cars are their iconoclastic natures. I’d rather drive the i8 on an open road and sit in traffic in the Porsche, but the important point is that both demonstrate that there remain different ways of getting the job done, and you don’t have to subscribe to the jelly-mould norm prevalent in other areas of the market. The more relevant Panamera, of course, is the E-Hybrid. Apologies for not having a picture of it next to the i8, but I was on another continent when I drove it. It uses a 3.0-litre turbo V6 petrol engine boosted by electricity and offers a 30-mile electric range. 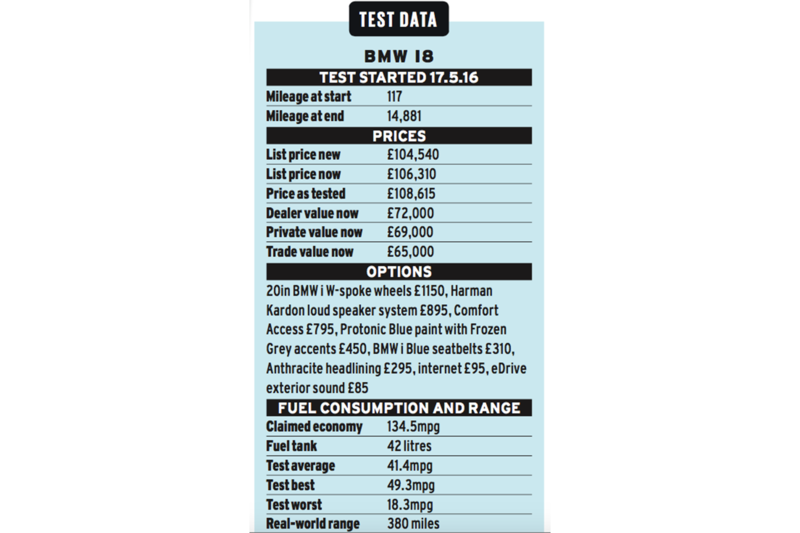 It’s a lot more affordable than the BMW, Porsche having slashed its price so, curiously, it’s now almost £10k cheaper than the less powerful, non-hybrid petrol 4S using the same engine. But even though it costs half as much again, the i8’s pint-sized powertrain is in a different league to the Porsche motor. Porsche says it’s a car bought more by head than heart, and for a certain kind of user the running costs are compelling. But the i8 has both bases covered (albeit for a different customer) and, hypercars aside, it remains the only hybrid so to do. Recently, I met a man who actually owned a BMW i8. Spent his own money on it – or at least his company’s. Broke a Porsche 911 habit measurable in decades to do it. Did he buy it for its looks, its CO2 emissions, or its carbonfibre construction? Did he hell. He bought it because, as a taxable company benefit, he said it saved him thousands relative to his last car, a 911 Turbo. Did he not miss the extra punch of the Turbo? Not in the least. What about that flat six howl? No, again. But surely he missed its grip, agility and the intimacy of the Porsche driving experience? Thrice nope. Truth is, he bought the car because, over the three years he will have it, its total costs made it a damned sight cheaper for him than anything else that kind of money might buy. But that’s not why he loves it. He loves it because he feels good about driving it. No, that’s not what you’d call a deep-dive assessment based on forensic analysis of the facts, but that doesn’t make the judgement any less valid. You don’t need to be a grizzled road tester to appreciate a car’s look or get pleasure from that little bit of theatre every time a door flips open and you settle down into those superb seats with that perfect driving position. Its ability to make every journey an occasion distinguishes the i8 from the others, even cars I’d rather drive fast, such as the 911. In fact, I love driving the i8 slowly, taking the kids to school, knowing I’ll get there and back while using no fuel at all. Saddo that I am, I’ve taken to photographing the trip computer, just because so many of the numbers displayed are at such apparent odds with a high-performance coupé. Not sure why someone who spends six figures on a car is so concerned about "saving thousands" running it through his company as a taxable benefit. I think he's going for the look-at-me glamour, the novelty and the fun you can have with mpg numbers, fun which doesn't attract plod. Not sure why someone who spends six figures on a car is so concerned about "saving thousands" running it through his company as a taxable benefit. That's why he is well off: he is smart with his money. If there is a car that gets you what you want and is cheaper to run why wouldn't you? If the i8 didnt exist, he would probably be in a 911 and happily pay the extra. that most people, like me, who serially buy Porsches do so for a variety of reasons. The first is they are not flash so if you need to go and see a client you don't need to hire a Skoda so they don't assume they are paying you too much - see Ferrari and Lambo. The second is that you can buy on credit with a balloon that will act as the down payment for the next one. Third, well they never break down, in my experience, and servicing is affordable. But the most important is that they are practical. I love the concept of the i8 but there is simply now way it fits my life - we only have one car in the UK. There's less luggage space than in an F-type - another rejected suitor for my money - so a trip to Waitrose involving a couple of cases of wine and the family shop is out of the question. I usually do an annual 2,000+ mile continental road trip - Monaco GP this year, hurrah! - the i8 and my wife's travelling wardrobe are, again, not compatible. Sorry it's back to the Porsche dealership for me in 6 months time. Unfortunately I think you will still find that most people find porsches very flash indeed. Ok not as flash as a Ferrari, Lambo or even i8 but still flash. I have a 55 plate Boxster S and I still get a lot of comments about it despite it being 12 years old and deliberately wearing a standard plate to show its age. Comments such as "business must be going well", "isn't there a recession in Aberdeen", etc are still all too common despite the fact that the car is worth the same as a basic fiesta. Otherwise I agree with everything else you say! All this proves is if you got enough money you can choose to do whatever you like. An i8 is £3,291 per year (another £699 tax for free fuel). This is why company car drivers are getting them. I swapped a 1 litre Fiesta for a Merc C350e - the Mercedes was £30 a month more out of my pocket because the tax was so much lower (despite it barely scraping 30mpg vs the Fiesta at 45mpg, so 'green' meh). That's £60,000 over 3 years. And if people re-read the article the money wasn't the only reason the i8 was preferred over 911. Money bags johnfaganwilliams doesn't have to worry about that though. Pointing out someone has money isn't an insult, Waitrose prices are though!